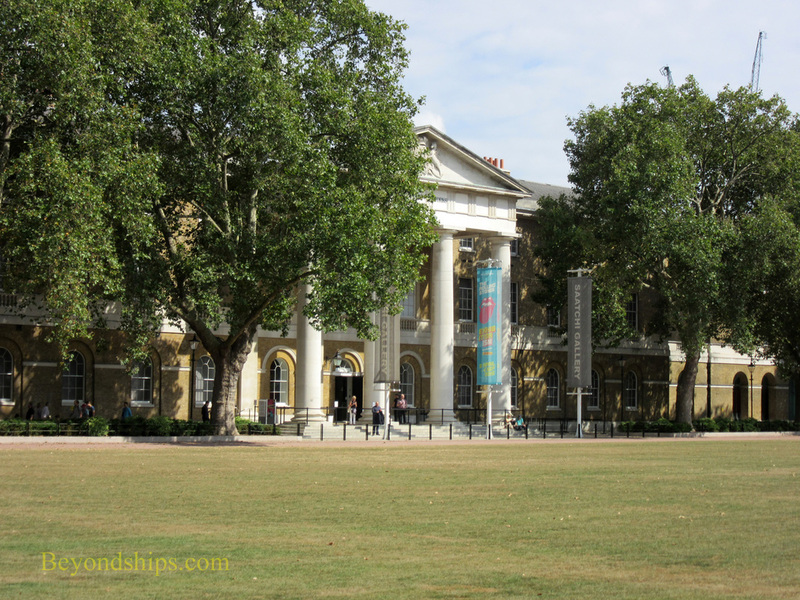 The Saatchi Gallery focuses on contemporary art. Artists who are exhibited there are often not well-known but exposure at the Saatchi has propelled a number of artists to fame. About a million and a half visitors come to the Saatchi each year. Founded in 1985 by Charles Saatchi in order to show his collection. In the intervening years, it has expanded beyond this mission often hosting temporary exhibits. The Saatchi has had a number of homes since its founding including a disused paint factory and the London County Hall near where the London Eye is now located. Since 2009, it has been in the Duke of York's Headquarters. Completed in 1801, the building was originally a school for the children of soldier's widows and later a military barracks. Refurbished, the building has 70,000 square feet of exhibit space in 15 rooms. The exhibit rooms are plain and without interior decoration. Located on the King's Road in Chelsea, the Gallery is just west of Sloan Square in a secluded enclave. Immediately in front of the building are tall trees and a playing field. 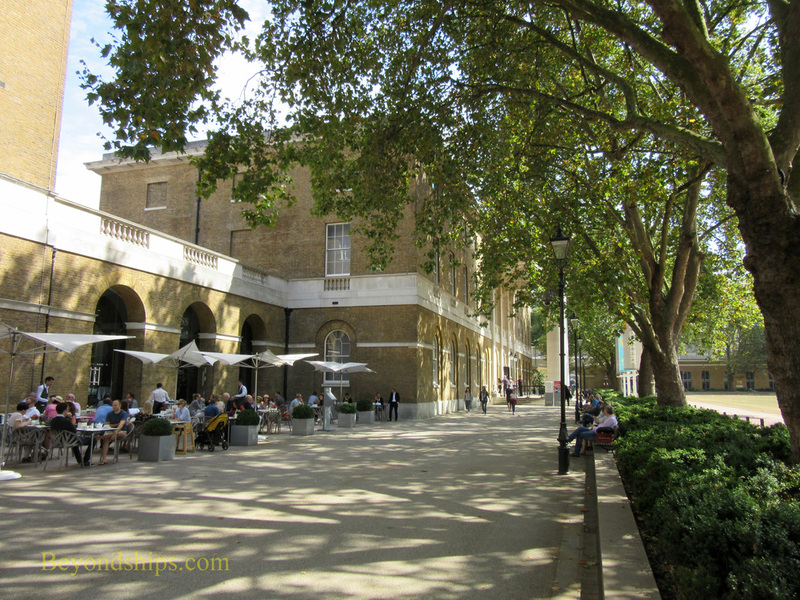 Nearby is the Duke of York Square, a pedestrianized area with shops and cafes. In addition to exhibits, the Saatchi also hosts activities such as art workshops. Admission to the Saatchi Gallery's own exhibitions is free. However, there can be a charge for temporary exhibits at the Saatchi. 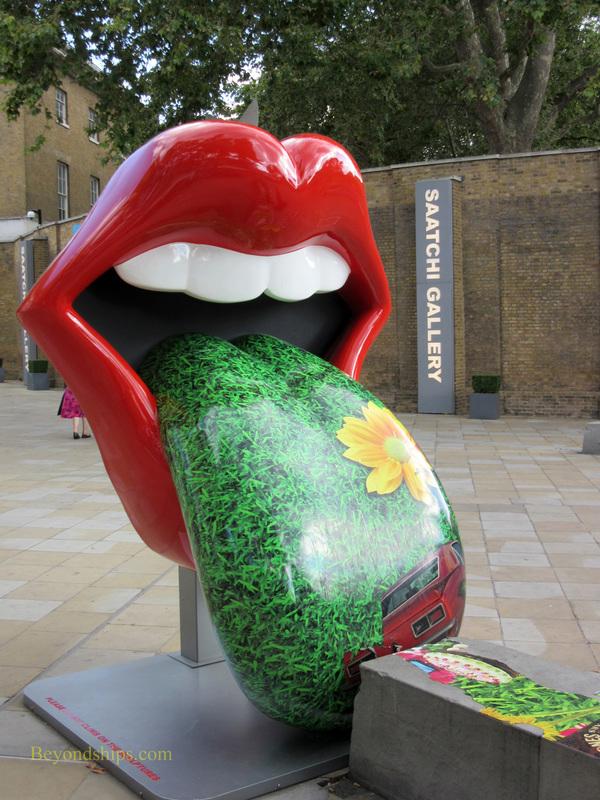 The Saatchi Gallery is open every day from 19 a.m. to 6 p.m. For more information, see the Saatchi Gallery website. Above: A sculpture marking the showing of "Exhibitionism", an exhibit about the Rolling Stones, at the Saatchi Gallery. Below: The Gallery is in a pleasant tree-shaded green area.